Rates of smoking amongst prisoners are, on the whole, much higher than in the general population. In this blog, Heino Stöver, Professor of Social Scientific Addiction Research at the Frankfurt University of Applied Sciences, examines global data on smoking in detention facilities, and explores why prevalence rates are so high – and what needs to be done to reduce them. The most widely used psycho-active substance by prisoners is tobacco, with prevalence rates ranging from 64 to over 90 per cent, depending on the country and the setting. Rates regarding female prisoners are comparable or higher. A remarkable decline in smoking prevalence rates has been observed in the general population where tobacco control policies are being implemented, but no comparable changes have occurred within prisons over the last decades. Smoking prevalence rates in the prison population remain between two to four times higher than in the general population. 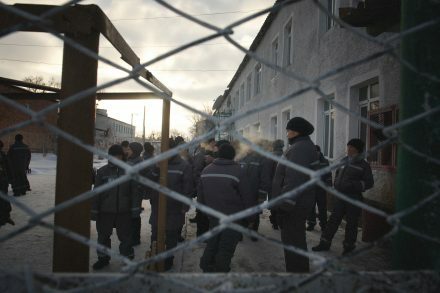 Within prison grounds, the probability of being exposed to second-hand smoke is also high, due to the high number of smokers, the fact that prisoners are often forced to spend most of their time indoors, and poor ventilation in many places. This creates a need for effective interventions to reduce involuntary health risks to both detainees and staff. Prevalence rates of smoking in detention facilities reported in literature varies according to the setting, the country and the study population. However, a common trend is a higher prevalence of smoking inside prisons, or proportions that tally with the proportion of non-smokers outside prison (e.g. inside prison, 75 per cent of people might be smokers, while outside prison it would be 25 per cent). In the US, 82.5 per cent of male prisoners are reportedly smokers. Reports from Australia put its proportion of smokers at 90 per cent, or even as high as 97 per cent. High numbers are also reported in Europe; for example, in France, 90 per cent of male prisoners smoke. For women, less data is available. Studies show that prevalence rates are similar or even higher than for the male prison population however, with rates in the US reaching up to 91 per cent; research in Australia found 88 per cent prevalence, and values are similarly high in Europe. Sixty-six per cent of women prisoners reportedly also smoke during pregnancy. Smoking by prison staff is largely unexplored and very little data is available, although some studies show that the prevalence rates of staff smoking in detention facilities are higher than or comparable to those of the general population. Staff smoking should systematically be addressed in tobacco control policies in prisons, as part of a wider approach promoting health in the workplace. Second-hand smoke is known to have various health-damaging effects, including an increased risk of heart disease and lung cancer in non-smokers. Introduction of total (completely smoke-free) and partial bans (where smoking is allowed in cells or designated areas) have shown significant improvements in air quality, but are still insufficient, as the detected thresholds of dust particles or nicotine concentration remain above those detected outdoors or in completely smoke-free areas. Other than bans, very few measures have been taken, which demonstrates the low priority attached to smoking in health promotion within prisons. This is despite the World Health Organization Framework Convention on Tobacco Control (WHO FCTC) declaring that all people, with an explicit mention of prisoners and prison staff, need to be protected from exposure to environmental tobacco smoke. These isolated measures should also be part of a more comprehensive approach that includes tobacco cessation support, training for health staff, alternative ways to reduce inactivity and/or cope with stress, and education. A more comprehensive approach is needed to further reduce second-hand smoke, by supporting tobacco users to change their behaviour, not just regulating where they can smoke. Why are rates of tobacco use in prisons so high? Prisons concentrate people who frequently use tobacco and show an important degree of dependence. They primarily originate from lower socio-economic backgrounds, use multiple drugs – including alcohol – and suffer from mental health problems. These groups are also recognised as the most ‘resistant’ to smoking cessation strategies outside of prison. Another main reason for the high prevalence rates is the absence of interventions addressing this issue specifically among prisoners. Prisons have rarely been included in state tobacco strategies and there is still a lack of evidence of best practice regarding smoking cessation of inmates. More cessation programmes need to be implemented to gain a better understanding of what is comparable to the general population in the wider community, and to equilibrate health services in prisons according to the epidemiology of substance use and services addressing the use of other substances. Broader public health should systematically include incarcerated people and therefore national and state tobacco strategies/plans should include prisons. It is not uncommon to find the provision of highly developed access to healthcare and inclusive harm reduction and opioid substitution treatment for intravenous drug users, with a complete absence of concern or programmes addressing tobacco use. Incarcerated men and women do show interest in quitting tobacco use for a variety of reasons, including health and economic factors. However, since stopping spontaneously is rare, a policy addressing the characteristics of closed settings and the complex needs of individuals living and working there needs to be developed. Effective prevention messages and smoking cessation programmes have not maximised their potential reach to the prison population. In most places, quitting remains a lone and environmentally unsupported decision and process. Smoking cessation programmes are given less priority than other healthcare issues, or other substance abuse. In some countries, it is not uncommon to find the provision of highly developed access to healthcare and inclusive harm reduction and opioid substitution treatment for intravenous drug users, with a complete absence of concern or programmes addressing tobacco use. Furthermore, even when available, prisoners seem to make little use of treatment programmes for smoking cessation. When they attempt to quit, most of the time they use the ‘cold turkey’ method. Smoking is an established and integral part of the culture in prisons and other criminal justice settings. Prisons have entrenched cultures that shape the ways in which social relations are conducted. A male prisoner in England described the significance of tobacco as ‘everybody’s lifeline in here’. There is the potential for smoking habits to change in prison, either positively or negatively. For example, a lack of access to tobacco and other factors can be associated with a reduction in smoking but imprisonment can also lead to an increase in smoking behaviour. Factors such as boredom and coping with stress are reasons frequently given by prisoners to explain why they feel a stronger need to smoke in prison. Smoking can be seen by prisoners as a way of helping to manage stressful situations such as prison transfers, court appearances and prison visits. Missing friends and family and a lack of family support have been identified as further reasons why prisoners might feel the need to smoke. Furthermore, boredom, prolonged periods locked in cells, bullying and stress have all been given as reasons for relapses by prisoners who attempted to quit smoking. Cigarettes and tobacco are frequently used by prisoners as currency and reports indicate this may also apply to medicinal nicotine. In some instances, prisoners have accessed smoking cessation programmes in order to obtain nicotine replacement therapy to sell to other prisoners, whilst they personally continue to smoke. Nicotine patch exchange schemes have been introduced in some prisons in response to this problem, with some prisons insisting on the use of transparent patches to prevent the concealment of illicit substances. Offenders often show other challenging issues in addition to smoking, including addiction to other substances and social and interpersonal difficulties that can affect motivation and the ability to quit smoking. Learning difficulties and high levels of low educational attainment among prisoners can have an impact on an individual’s ability to access services and to cope with complex health information materials, which often do not easily translate to the prison setting. The transient nature of prisoners can provide additional challenges in terms of engaging and sustaining contact with stop smoking services and the continuation of support and counselling. Therefore, stop smoking services should plan for the likelihood of transfers by ensuring that medical records are transferred with prisoners, along with a short supply of pharmacotherapy until prescriptions can be renewed at the new location. Linking community stop smoking services to prison programmes could also offer post-release support and thus reduce rates of relapse in a particularly stressful time of readjustment. Mitigating stress and boredom should be included in stop smoking initiatives; for example, by improving access to gym facilities or sporting activities. Qualitative research conducted in UK prisons has revealed that many prisoners want to achieve something while in prison, and view quitting smoking as a way of doing this. Prisoners have described being in prison as an opportunity to access stop smoking services and nicotine replacement therapy. Resistance and negative attitudes to smoking cessation in prisons can be based on the belief that quitting smoking, especially if it is enforced through smoking restrictions, would place an intolerable burden of stress on prisoners at an already stressful time. Mitigating stress and boredom should be included in stop smoking initiatives; for example, by improving access to gym facilities or sporting activities, as physical exercise has been described by prisoners as a substitute for smoking. Prisons have a duty of care for those they hold in detention. In relation to smoking, this should include the promotion and support of cessation for those smokers wishing to quit; protecting non-smokers from starting smoking; and protecting prisoners, staff and visitors from passive smoke exposure. It is recognised that tackling smoking is difficult in an environment where smoking is an established and integral part of the culture and a social norm. Addressing smoking among the offender population should not be limited to prisons, as smokers awaiting trial or those on probation after serving a sentence may also need help and support. It is well recognised that addressing inequality issues by facilitating offenders’ engagement with stop smoking initiatives will have improved health outcomes for the offenders’ families and the wider communities in which they live. Interventions targeting tobacco issues need to consider the complexity of interrelated dynamics influencing its use among incarcerated people, to avoid perpetuation and aggravation of these specific health inequality factors. Heino Stöver is a social scientist and Professor of Social Scientific Addiction Research at the Frankfurt University of Applied Sciences in Germany, where he is also the Director of the Institute of Addiction Research. Since 1987 he has been the Director of the Archive and Documentation Centre for Drug Literature and Research at the University of Bremen. He is also the President of Akzept, a national umbrella organisation working on harm reduction for drug users.